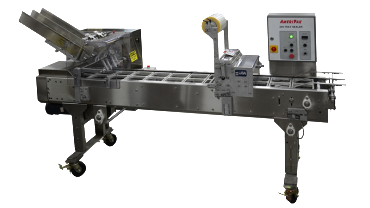 AmeriPak offers wrapping and packaging equipment for sealing prepared and fresh foods. 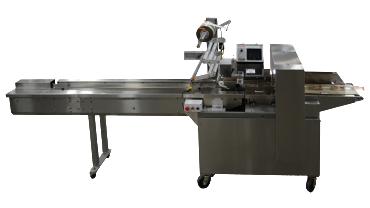 Horizontal flow wrapper, tray sealer and shrink wrapper machines made in the USA. Our wrappers and sealers are designed for durability and flexibility to provide years of reliable operation. "We started out just wrapping sandwiches on our flow wrapper. Now, we run just about everything we can on it. It simplifies our whole packaging process. Everybody loves working on the "sandwich line." We have decreased our packaging time and are now looking for new opportunities to fully utilize our staff and the equipment." "Jim was great! He made sure we understood the machines' capabilities and helped us choose the right model for our needs. Ed uncrated the wrapper and began training the floor managers that very afternoon. The AmeriPak Tech Team always do their best to provide timely service whenever we request it." "Our company initially purchased a tray sealer in an effort to expand into a new marketplace. Our products and services were well-received and our business grew. 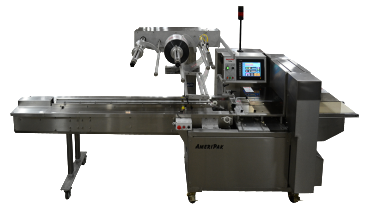 As it did, we kept adding tray sealers - now we have six AmeriPak machines!" "They delivered the tray sealer in the morning and by noon we were packaging meals. It did not take long before it was one of the staff's favorite machines. It's easy to operate and reliable."